Adrienne Rich died today. I saw the news as I was editing and preparing to post this article. The following quote informs exactly what I was exploring when writing this piece and what I seek to communicate to all the girls out there on the verge of losing themselves and those who may never find out. 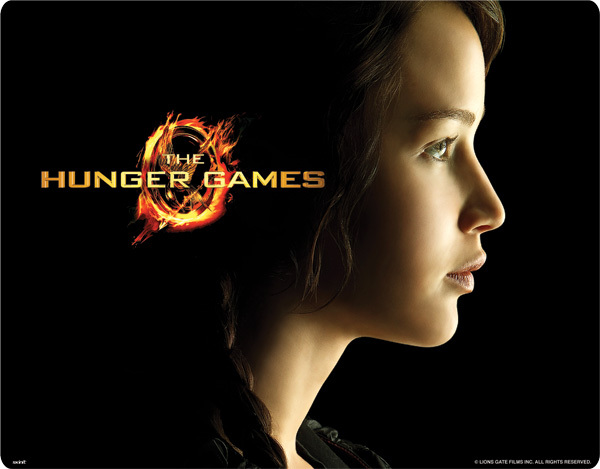 The Hunger Games debuted the first of the trilogy’s film adaptations last weekend to record-breaking success. It had the highest grossing opening weekend for a film that wasn’t a sequel. The top two are Harry Potter and the Deathly Hallows: Part 2 and The Dark Knight, which makes THG the highest grossing opening weekend for a film with a female protagonist! I have been doing a lot of thinking, talking and reading about THG and I am writing this because I am disappointed in the lack of discussion around gender. Many are celebrating Katniss for being a gender-neutral character and the conversation seems to be defining gender-neutral as meaning boys like her, too. In order for this character to be gender-neutral it would have to not matter that she is a girl. And, to the citizens of Panem, or in the Arena, maybe it doesn’t. But, for American audiences, it does. And here’s why. In both literature and film males vastly outnumber female protagonists. Studies have shown that, while females regularly view movies with male leads, males are less likely to view films with a female lead. From personal experience, as someone who seeks out female driven stories, I can say I have read way more books with interesting female characters than seen films, especially in the teen genre. Considering the harmful effect media images have on girls specifically, it is extra important that Katniss has become a film character accessible to girl viewers. Just as it is for characters, gender disparity is present in the creation of these characters. Men out number women in all areas of publishing as well as producing, directing and writing films. This has resulted in what researchers have coined the “male gaze” meaning all characters, whether male or female, are created from the male point of view and satisfy a heteronormative masculine desire. Men and women have different experiences in the world that are directly related to their gender and this makes their perspective vastly different. A hero is defined as an ordinary person in extraordinary situation. When creating a hero Suzanne Collins chose a girl to be that extraordinary person and in doing so created an entirely different narrative. A girl’s story. The more these stories are told the more our ideas about gender and gender roles change and then maybe it really won’t matter that she’s a girl. 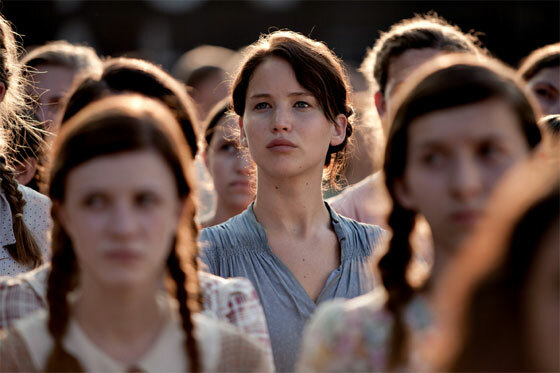 Note: Suzanne Collins also wrote the screenplay – double bonus for Hollywood! The cultural standard of human behavior is defined by the behavior of men. This is something feminist scholars, activists and others work to disrupt however we still exist in a reality where woman is defined as “other” and “different.” It is usually these differentiating characteristics that we devalue. Because Katniss is a girl every time she operates outside a traditional female assigned behavior she challenges a stereotype and every time she participates it adds value to the female experience. It also fully reflects one of the primary tenets of feminism: the freedom to choose. 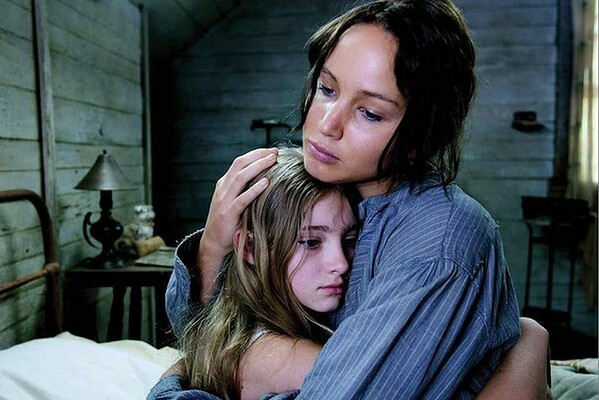 When we put a girl like Katniss on the screen – one who is tough, resilient, strong, caring, loyal, loving, protective, responsible, focused – she creates a new image in which girls can see themselves. She also presents a new image in which boys see girls –as individuals worthy of being friends with rather than sexual objects for them to play with. I am a big believer in teaching girls to fight (and NOT WITH OTHER GIRLS!) Now, you may hear this and think of a physical response. And you know what, sometimes that is part of it. What I am really talking about is inspiring the fight inside a girl to be brave, to be strong, and to persevere. As a culture, we teach that to boys but we teach girls to depend on someone else, to let someone else fight for them. Or we teach them not to care. We distract them with things like clothes, make-up, and boyfriends. 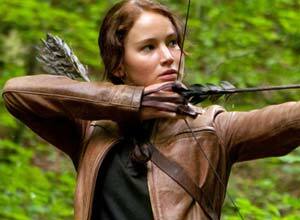 Katniss learned to fight out of necessity but she never compromises her integrity when doing so. In fact, being a girl, influences not only how she fights (with her head and her heart) but also what she is fighting for (ultimately, freedom for Panem and all its citizens). An essay by Mary Borsellino had me thinking about Katniss as a character who is motivated by love and the political implications of those choices. Because love has traditionally been assigned as a female emotion, a female character has more agency to act with love then a male character. When they do, it activates a non-traditional power source to which women have access and thus the potential to instigate change. This translates to the real world as well but, as history has shown us, women are often afforded more opportunity when following the dominant pattern of success (if you can’t beat ‘em, join ‘em). This is usually because female associated behaviors such as love, compassion, relationships are also seen as weaknesses. 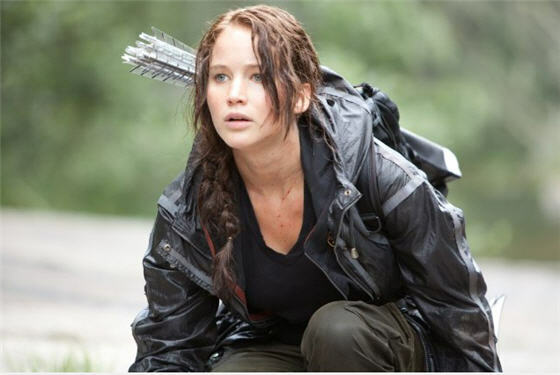 However, successful leaders who usurp this model have often been male such as Ghandi and MLK Jr. Because she is driven by love – supporting her family, honoring Rue’s death, saving Peeta’s life – Katniss emulates a new way of doing that disrupts the culture of competition that measures success by individual achievement rather than what is good for the whole. Because she succeeds, her story tells us that it’s OK love and, on another level, that it is OK to be a girl. Both strong messages that we could all stand to be reminded of more often. The thing is, Katniss Everdeen is a unique representation of girlhood that is far more common than Hollywood would have you believe. Her presence in the pop cultural landscape is important, especially in a medium that legions of teens have access to, because she is changing the way we view youth, culture and gender. And, yes, it matters that she’s a girl.